But what is informal learning? This is a simultaneous blog post, published in tandem with a post by Rachel Burnham. I’ve been involved in a few conversations recently talking through the approach that I’m taking and a common question that people are asking me is about the use of the word informal. My definition is to place the learning that an individual undertakes as self-managed, personally owned, individually facilitated, in this space. Having talked around it for a while, I wasn’t entirely convinced with this explanation and I’ve been seeking a fuller definition that would help people understand my thinking. Part of my investigation highlighted how one of the challenges that L&D professionals within organisations have is understanding the level of tacit knowledge that each person brings to a learning experience, event, or activity. What L&D has done traditionally is pre-test people, create a baseline that may (or may not) bear a semblance of accuracy and use that as our start point for measurement. I was reminded of it this a few weeks ago when I had a chat with Rachel Burnham. I tweeted some lines from the conclusion to a paper that I’d been reading and Rachel was interested in its content. When she’d read it we agreed to get together to review it and see how it might impact our practice. We met up and had a truly meaningful conversation about our interpretation of the paper – Informal Learning in the Workplace, Eraut 2004. The conversation that Rachel and I had centred on this table. As I mentioned above, L&D traditionally has difficulty in engaging with the tacit knowledge people bring to their learning activity. Using the table above, we can see where L&D shoehorn a relevance to our activity in the deliberative learning column. If WE are in charge of deliberate learning we can take credit for the deliberative learning that an individual undertakes to develop their skills, competence or skills. Wrong. This whole table is a classification of informal learning, ie learning that is invisible, individually codified and personal. If we can measure something does it mean more? This fascination with measurement and reticence to just ‘let go’ is pervasive and compelling – why wouldn’t you want to be able to show your worth with an increase in learning? Why wouldn’t being able to count the learning steps lead to efficiencies? More worrying appears to be the desire to create ‘social measurement tools’ within learning platforms; I get daily emails on this topic at the moment from vendors selling informal social learning measurement tools. I will be exploring some of the ideas about informal learning on 10/11 September at Learning Live in London. If you’re coming to the event, the session I’m facilitating on the 50 Big Ideas will spend some time looking at the value we place on learning content. I’ll be trying to help you with, if not a big idea, at least a few small ones that you can take back to the workplace and maybe, in 8 weeks or so, help change your practice. So what’s the poor L&D professional to do? Is our role to formalise learning so we can count and measure it, or create an environment where we can drive more opportunity for people to learn informally? Let me know in the comments. Timely article. I have come into an environment where we are counting things (number of people attending x y or z) and where there are 2/3 yearly refreshers for people which mean doing exactly the same course again and then counting those. Ripe for development I’d say! Turning such cultures on their head to create empowered accountBls learners who pull what they need when they need it in formats that suit them…. I have a dream! Is our role to formalise learning so we can count and measure it, or create an environment where we can drive more opportunity for people to learn informally? Well Mr. Jacobs in answer to your question all I can say is I am damned if I do and damned if I do not. I will address this from my most recent role as a Director of Learning in a large Federal public sector organisation. Every organisation (and public service is now different) looks for and needs validation of the value delivered by it’s enabling services. It needs to know if the investment made in enabling the workforce (e.g. reward, recognition, talent management, L&D, OH&S etc) have reaped any benefit. In the private sector the focus it is mainly about the bottom line, along with some other financial KPIs. In public sector,it is on benefits/outcomes that make sense to the organisation and better still makes the Senior Executive “look good”. Tangible measures of course are the easiest to capture and report on. If they are trending upwards of course the the big boos “puffs” out his chest. Such tangible measures are best sourced from formal learning interventions (sometimes from informal as well, but in the main it is the formal stuff). Yes Mr. Jacobs capturing, measuring, evaluating, reporting and validating the informal learning that occurs within an organisation is a challenge. Developing a causal relationship between an informal learning environment and the relevant KPI or measure that one can present to the senior executive is the biggest of challenges of all. So in answering your question Mr. Jacobs, as an L&D pro, and abiding by my “hippocratic oath”, the later is what I would rather be doing and focusing on. 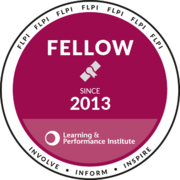 As a paid employee who is tasked (read paid) to deliver results, I am unfortunately asked to focus on the former so as I can be judged, rated and assessed, irrespective of the environment I am creating, irrespective of the longer term benefits to the organisation and irrespective to everything I have learnt and read on effective learning theory. Therefore Mr. Jacobs, given the demanding and ever scrutinised world of L&D, I believe we have a DILEMA ! As a learning professional in an influential senior role in your last job, you had a fabulous opportunity to turn that around for the longer term benefits of that organisation. If the latter option is what you would rather have done because, in your professional opinion, it would have made the biggest difference but would be hard to measure (“clothes line paradox”) what stopped you using your influential role to move hearts & minds towards the greater good? Dear Lily1708 – you do raise a great question but you do make a fatal assumption as to why I did not address the situation. What you have done is fallen in that dreaded situation that most people do when reading without seeking to understand – as a learning professional I will give you some free advice – seek to understand before passing judgement. If you read the above response closely you will note that it is my “former” organisation. Now if we can focus on Mr. Jacobs request and see how we can contribute to this valid question, it may be a better use of our time and energy. I have clearly offended which was not my intention. I did realise it was your former role & I am just curious as to why you didn’t work towards the latter if that is your preferred style & you were in an influential role. If you have an example in your freelance world, it would be great for you to share with a novice L & D person. Clearly I have touched a nerve and that was not my intention. So you see I did everything I could – did I succeed – ? Out of 350 L&D staff I got 10 on to twitter and other social networks. Did I manage to change the view of the leadership and the business – that takes time and maybe I would have made some traction over time – but I had an offer too good to refuse – so here I am talking to you about my experience. I hope we can now close this one and move on. I tend to think that one of the functions of L&D is actually to formalise the content of informal learning and I have written about this concept in a number of places. Don’t get me wrong informal learning is great and we should encourage staff to undertake it where possible, however in highly regulated systems (such as the areas in which I work) or in areas where ensuring competence is essential, informal learning just doesn’t cut it. We need to be able to show that people are competent, that they have the required skills and knowledge and that they meet all the criteria for the role. Unless we take the informal learning and do something with it, it is next to useless in this context. Thank you for your comments which I found interesting & challenging. I am not convinced that we need to see the position as being either informal learning or demonstration of competence. I understand that in some organisations & highly regulated fields or when there is a substantial risk associated, it may be necessary for people to demonstrate their competence before being able to undertake a role or particular task. However, we ie L&D or subject matter experts could design competency assessments that enable people to have their competency assessed irrespective of how that competency has been learnt or developed. The UK driving licence would be an example of this approach. I would agree they shouldn’t be seen as mutually exclusive. One of the advantages we have in Australia is that we have formal competency assessment criteria written into our vocational education system, which has qualifications applicable for almost every job role. This makes it relatively easy to convert informal learning into formal qualifications and create those outcomes for staff that want them, or where the organisation needs or requires them. It doesn’t necessarily matter within our system how you learnt what you did, it only matter that you can satisfactorily show your competence in the skill or knowledge. For me it is about transferability of skills and the participant having something which actually shows that they are truly competent so that when they want to move roles or organisations they have something real and tangible to point to to show their skills an knowledge. Well, there’s some interesting comments on here! Thanks to you all for your thoughts. I don’t think it’s a dilemma (although I posited it as such) since choosing to learn formally or informally isn’t a simple binary decision. Look at the 70:20:10 model for example; it’s not a recipe but a way of thinking. It isn’t a quick fix either – deciding to consider informal as part of your offer, leaving alone and trusting that learning happens takes a leap of faith that requires a confidence from senior managers within L&D and the business that it will work. We need to see more case studies of this happening before it’s more accepted. I can’t disagree enough Paul that part of L&D’s function is “to formalise the content of informal learning”. If this is the case then we are suggesting that no learning can take place without our approval, measurement, or intervention. That’s impossible to manage and something we shouldn’t even consider. For example, you run a session that a number of staff attend. In the coffee break one person tells another about a technique they use. This technique is outside your course, content and action. If the person returns to work and works more effectively as a result of the technique, it’s not your content or course which has created this improvement but the chance encounter between 2 people. To claim that improvement for L&D is unjust and downright wrong. I guess I am not actually suggesting that L&D should lay a claim to that improvement or that learning can’t happen without approval, measurement or intervention, it is more that if we are not capturing the fact that there has been a learning outcome, an increase in skill or knowledge or both, then we are doing a disservice to both the employee and the organisation. It is about taking the learning that happens informally and doing something organisationally useful with, that is being about to show formally if you will, the outcomes of that learning, through qualifications, KPI’s and mapping against capabilities for example. It provides both the organisation and the individual with real evidence of their learning outcomes and skill and knowledge increases. The example that Rachel give of the drivers license is a good one. We don’t care where and how people learn to drive, but we need to formalise those skills that they have obtained so that we can give them a license, which shows that have learnt those particular skills. It is about capturing the learning where ever and when ever it happens and not about whether or not it was formal L&D processes which lead to that learning. Hi Paul, thanks for your reply. Again, I disagree. It’s not a learning outcome that we need to measure – it’s a performance outcome the manager needs to measure. We shouldn’t be shoe horning informal learning into our measurement systems; if a person learns something informally which helps them do their job it’s a performance issue. The L&D function is there to scan the horizon, take a helicopter view of the performance across the organisation and recognise the ways of learning which work. If they’re informal then so be it…L&D aren’t the oracle of knowledge retention and we shouldn’t pretend to be. Thanks Con. A dilemma suggests only two answers – this way or that way. I think there’s many more shades of right/wrong/black/white than that.